This wall mounted award is the companion to our Stratus desktop award. This line extension offers an award that portrays colorful designs with a layering effect in four standard designs. 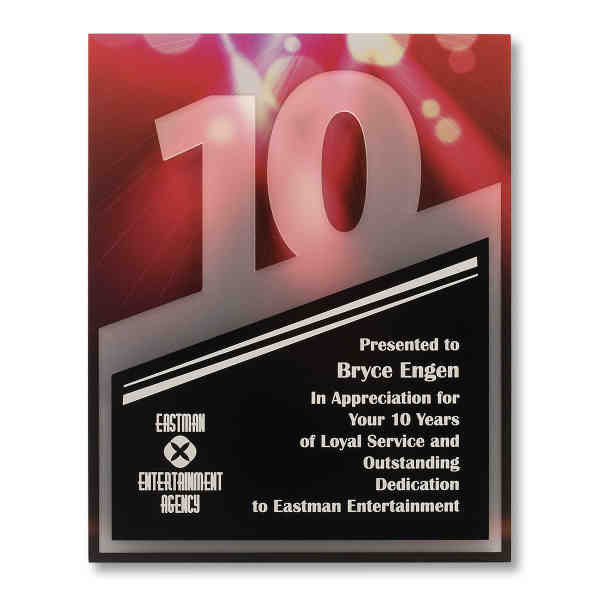 Perfect for the client that desires an award produced with a look custom made for their event. Mix and match colors with our shapely designs to deliver a sensational effect. Choose from 4 standard designs. Contact factory to discuss custom designs. Size: 4 " x 9 "